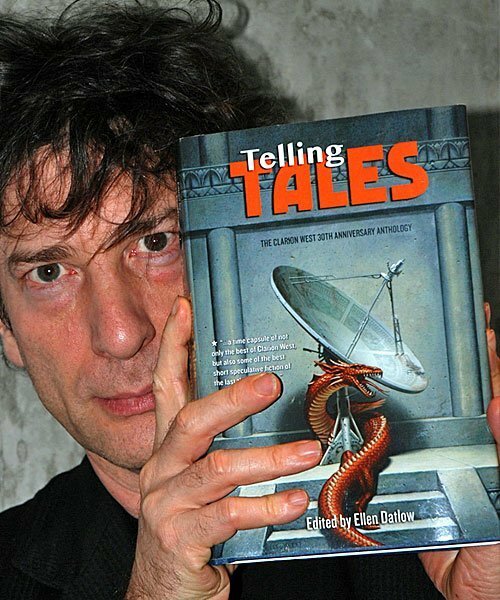 Published in June 2013 in hardcover, paperback and eBook formats, Telling Tales celebrates the accomplishments of thirty years of writing graduates and represents an opportunity to acquaint yourself with some of the best short fiction written by Clarion West graduates. All proceeds from its sale will go to support the workshop. Telling Tales can be purchased at hydrahousebooks.com and through most major online retailers. Award-winning editor and veteran Clarion West instructor Ellen Datlow edited the anthology, which collects sixteen stories written by graduates of Clarion West’s six week workshop. Each story is followed by a brief afterword by an instructor who taught that student during his or her year. The writers included are Kathleen Ann Goonan (‘88), Louise Marley (’93), Margo Lanagan (’99), Susan Palwick (’85), Mary Rosenblum (’88), Ian McHugh (’06), Daniel Abraham (’98), Benjamin Rosenbaum (’01), David D. Levine (’00), Andy Duncan (’94), Christopher Rowe (’96), Rachel Swirsky (’05), David Marusek (’92), Nisi Shawl (’92), Kij Johnson (’87), and Ysabeau Wilce (’02). The instructor anecdotes, penned by Greg Bear, Pat Murphy, Howard Waldrop, Samuel R. Delany, Gardner Dozois, Maureen McHugh, Lucy Sussex, Connie Willis, Geoff Ryman, Elizabeth Hand, Terry Bisson, Andy Duncan, Pat Cadigan, Nancy Kress, Ursula K. Le Guin, and Paul Park add an inside glimpse into the relationships that are built between instructors and students as they write, discuss, and critique their fiction together. The cover art was graciously contributed by Chesley Award-winning artist Todd Lockwood, whose art has graced many book covers.